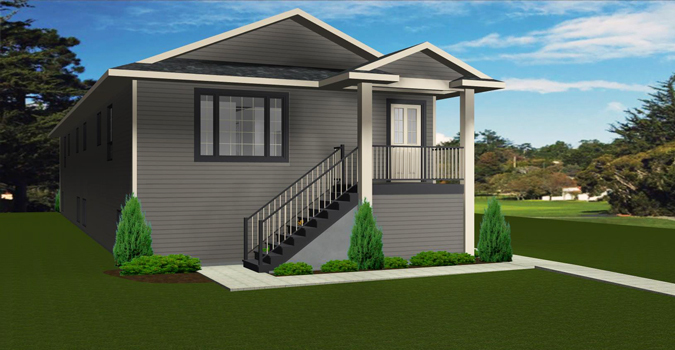 This plan is great for a narrow lot and has 4 units in total. 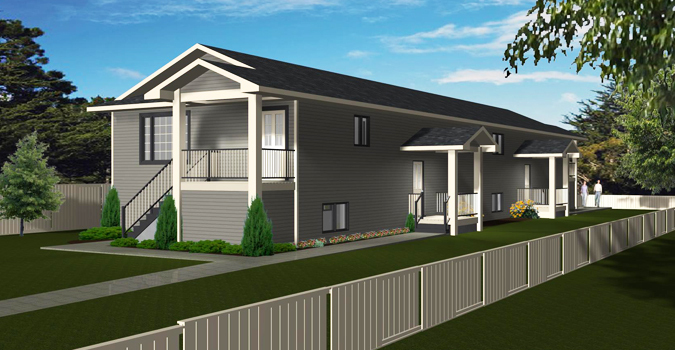 Choose from the main floor, which has three-bedroom units or from the basement level which has two-bedroom units. The utility rooms for all four units are located in the basement. Enter the units on the main floor from the front and back decks into the foyer area. The living room, dining room, and kitchen are all in one open area as you enter. The master bedroom in the back of the unit has a 3-piece ensuite and larger closet. The other two bedrooms share a 2-piece bathroom. Main floor laundry is accommodated in this bathroom with room for a stackable set. The suites in the lower level are accessed from the side entrances. They also have an open concept kitchen, dining room, and living room area. These are two-bedroom units that share a 3-piece bathroom. Laundry is also accommodated on this level. A great income generator.